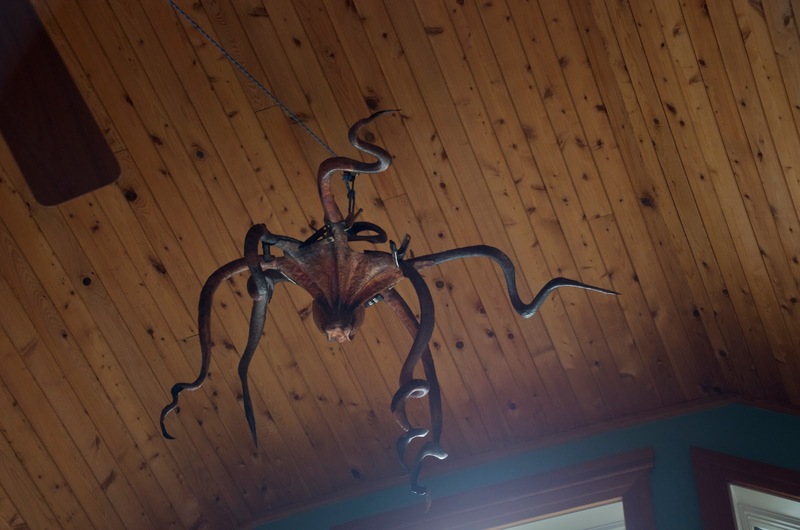 This will hang from the ceiling and each arm will hold or grab something. 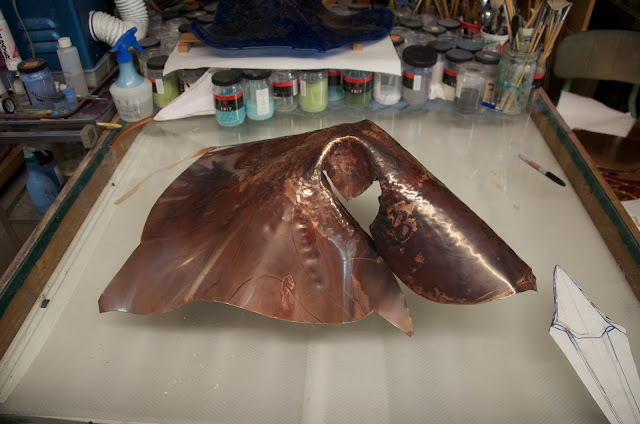 Three arms will hold stingray tails which will spiral downward. 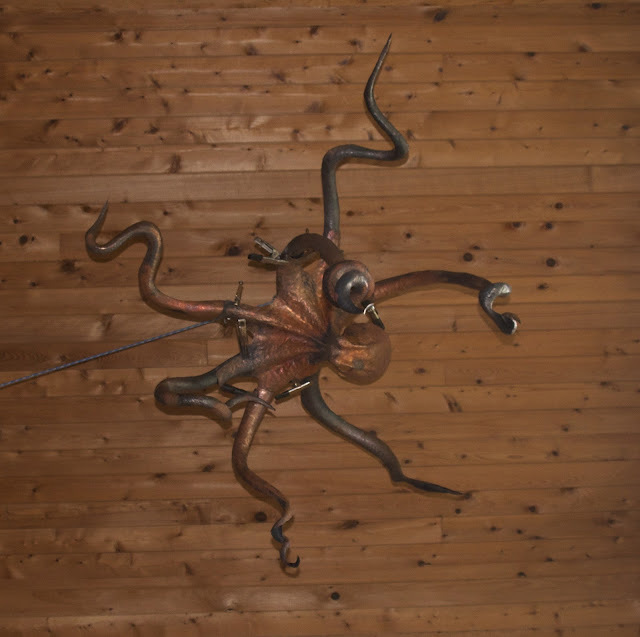 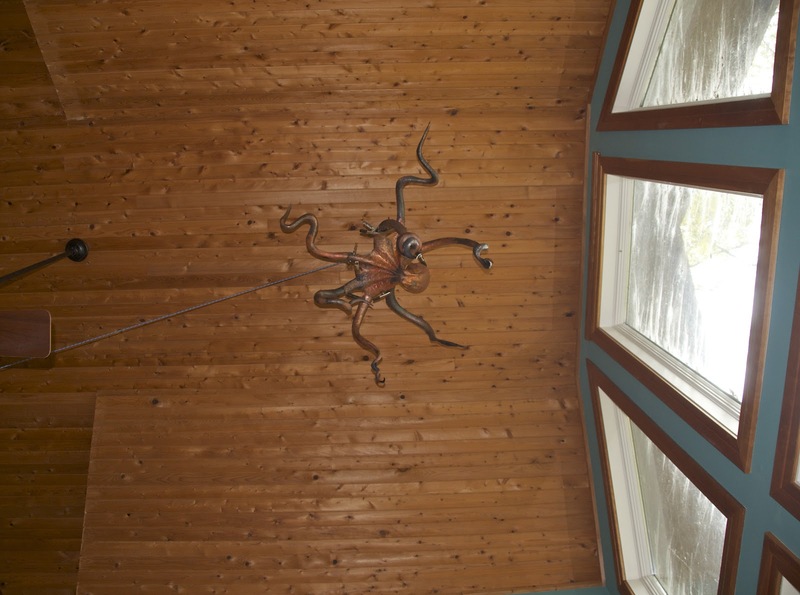 Two will hold on to the ceiling, leaving three to hold other objects or sea life. 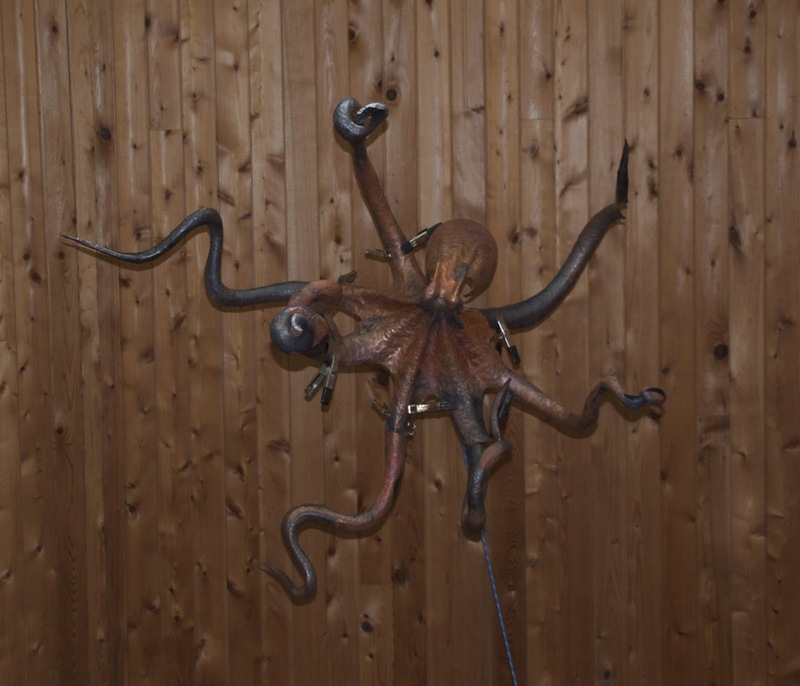 This octopus takes up an area about 4 ft square.